I planned on sharing this project earlier this week, however, I had to take a little blogging hiatus, my husband had a battle with a kidney stone, and... let's just say... the stone won. Anyway, with five children in one type of school or another, I decided to ward off the evil-backpack-spirit before it arrived. For the past few years, I have tripped over 4 backpacks, 8 shoes, and two huge laptop bags. I've had it. I knew I wanted a storage area in our study, because it's behind closed doors, and it's the first room next to the front door, so they can simply come in and hang up their things. If you are standing in the foyer this is what it looks like, if I shut the doors, nobody can see it! There are some great tutorials out there on how to revamp a bookcase into mudroom storage or playroom benches. Others get very creative and fancy, I, on the other hand, am all about function on this one. Inexpensive function. 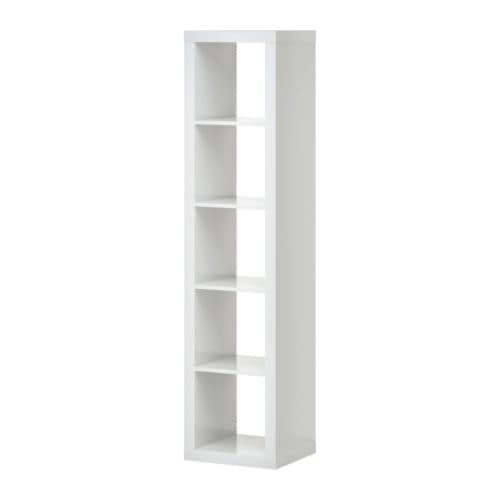 I decided to go with the IKEA Expedit bookcase, because I needed five openings. I attached it to the baseboard, just in case I ever want to move it, I won't have to replace the trim, just fill in the holes. We also have a cable wire that has to run behind here, so it was a no-go on placing it flush against the wall. 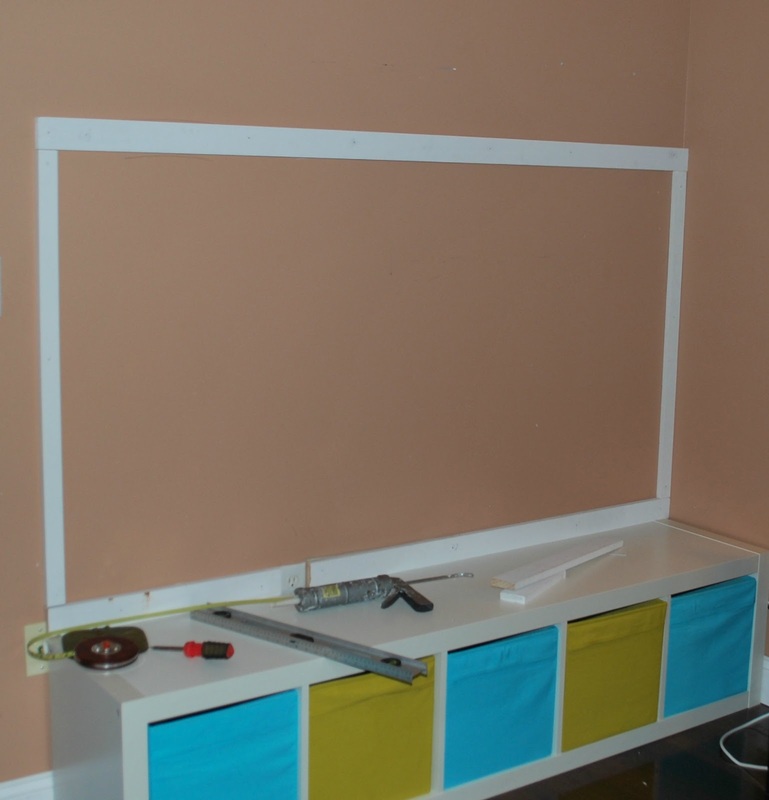 I had to use a 1 X 3 to cover the gap, but I also had to cut out a space for the outlet, this comes in handy when the older boys have to charge their school laptops each night. Next, I framed out each of my five sections with the pre-primed 1 X 2's, and used Liquid Nails and real nails to keep them in place. I let that dry for 24 hours. The next day I caulked all of the gaps with painter's caulk. I picked up these large file hooks at The Home Depot earlier this summer, for about $5.00 each. 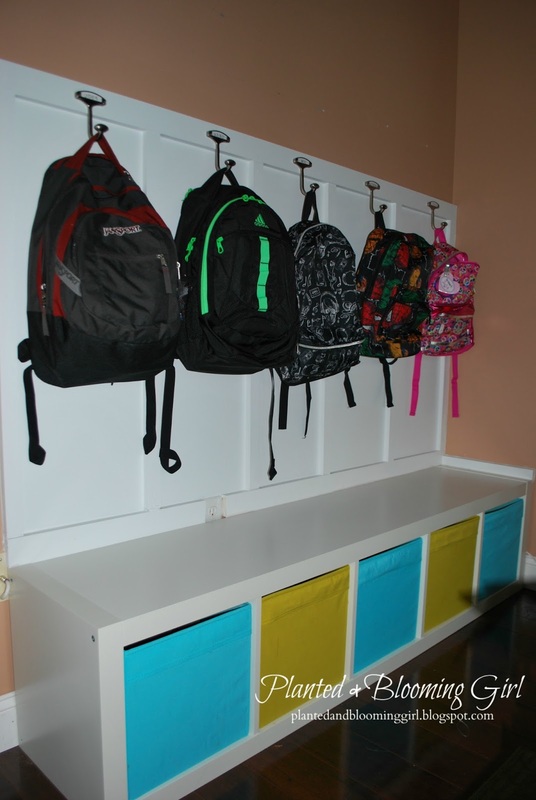 They have a slot for personalizing and are big enough to hold backpack straps. 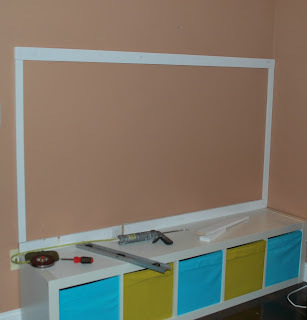 I plan on adding a ledge across the top for picture frames, but if I wait until that's done, I would never share!